Western New York has a rich history of martial arts that dates back to the 1950s. It was mostly Isshyn Ryu and Shotokan Karate schools with only a few places that taught Kung Fu. 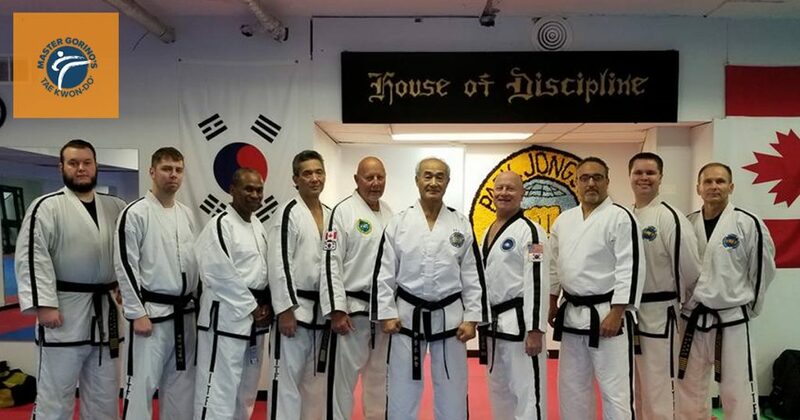 In 1968, Grand Master Jong Soo Park brought Tae Kwon-Do to Toronto where it slowly moved into the Buffalo area. By the ‘70s, Karate had become very popular where as Tae Kwon-Do remained pretty obscure. It wasn’t until the early ‘80s that Tae Kwon-Do really took off. 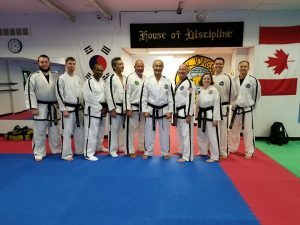 I had earned my black belt in 1981 at an Isshyn Ryu Karate school, and remember my instructors Russ Caci and Apple Young praising this new amazing Tae Kwon-Do martial art. They were fascinated with the kicking power. It’s all they talked about. It was known as Korean Karate, which is a misnomer because Korean Karate is actually Tang Soo Do. Later that same year, my Isshyn Ryu school closed, so I joined my first Tae Kwon-Do school under the instruction of Grand Master C.S. Kim. We were an ITF (International Tae Kwon-Do Federation) school that later turned into a WTF (World Tae Kwon-Do Federation) school. I won’t get into the politics of why South Korea created a different Tae Kwon-Do federation, so let’s just say the WTF is an Olympic sport and not the original true martial art developed by General Choi. When Master Kim switched his school from ITF to WTF, I was really disappointed. I had almost earned my ITF black belt when suddenly, I had to start all over in the WTF style. Plus, our training was completely different. Everything we did was to compete as a sport and that’s not the Tae Kwon-Do I fell in love with. I think Tae Kwon-Do should be treated as a martial art, a way of life, and as a self-defense. Not a just a recreational sport. In 1984, Grand Master Kim moved to the Philippines. It was then I began training under the original man who brought Tae Kwon-Do to our area, Grand Master Jong Soo Park. I still train with him today. I share this story so people will understand my passion for General Choi’s original Tae Kwon-Do. Our school was built on the philosophy that the mind, body, and spirit all work together through Tae Kwon-Do. You will become physically stronger and mentally focused. Tae Kwon-Do will encompass all aspects of your life, for the rest of your life.